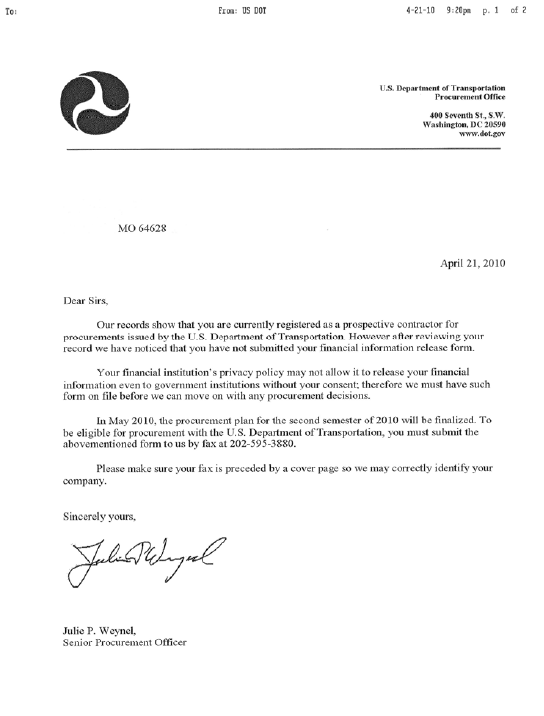 It appears another new round of fraudulent USDOT letters are starting to circulate among motor carriers. The letters appear to be from the “U.S. 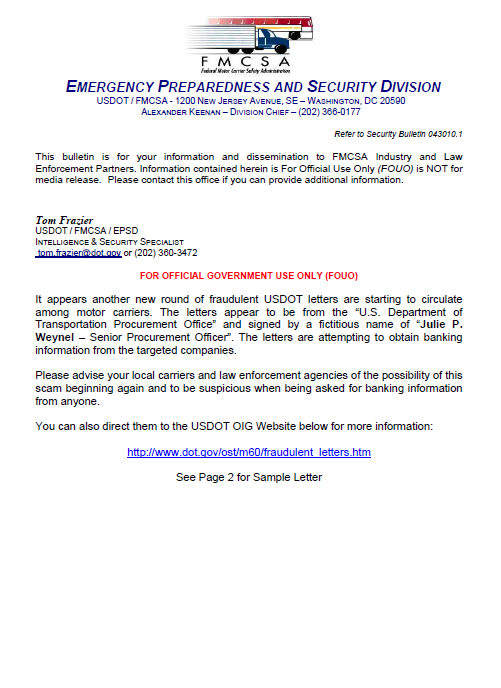 Department of Transportation Procurement Office” and signed by a fictitious name of “Julie P. Weynel – Senior Procurement Officer”. The letters are attempting to obtain banking information from the targeted companies. Please advise your local carriers and law enforcement agencies of the possibility of this scam beginning again and to be suspicious when being asked for banking information from anyone.